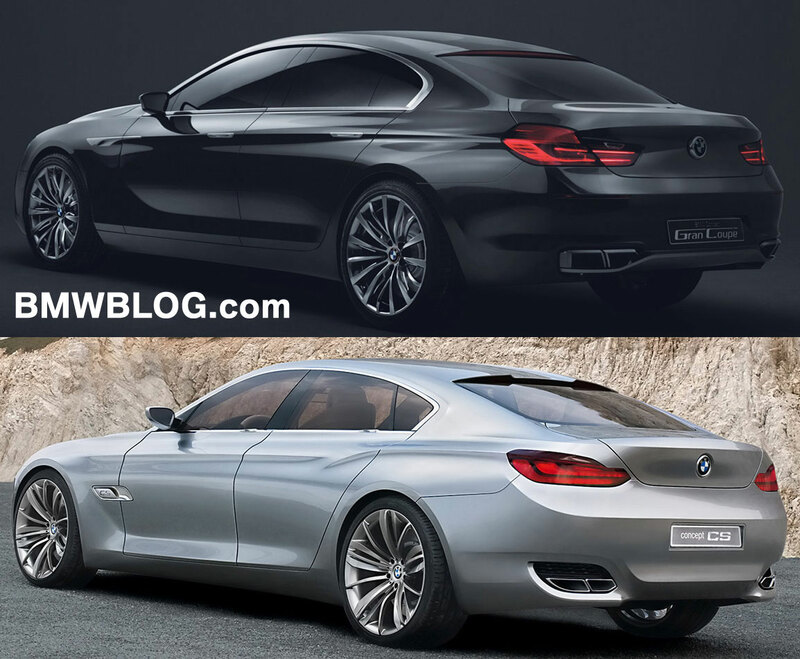 Yesterday morning at the Beijing Motor Show, BMW has unveiled a four door coupe concept. Dubbed BMW Gran Coupe, the new concept from BMW is built on the ‘backbone’ platform that underpins the current 5-series, 7-series and 5 GT. Design wise, despite having an unique look, the BMW Gran Coupe takes some design cues from the now defunct CS Concept, the beautiful four door sporty car that was unveiled in 2008 at another Chinese motor show, Shanghai Auto Show, and canceled two years later when BMW decided to pursue their EfficientDynamics plans. The Gran Coupe has been designed to combine the abilities of a GT and a sports car. The roof is 100mm lower than the 7 Series models, and its rear quarters slightly more restricted. The concept carries the essence of brand values and the genes of BMW design into the future and the expectations are that these styling cues will turn up all over BMW range in the next few years. The sleek Gran Coupe retain iconic elements like the kidney-grille, Hofmeister kink and a less pronounced shark nose. Built on the new 7 Series platform (F01/F02), the now canceled CS Concept was unveiled for the first time in 2008. The CS Concept has an unique expression of classic notchback design highly individualized and varying according to your angle of vision. 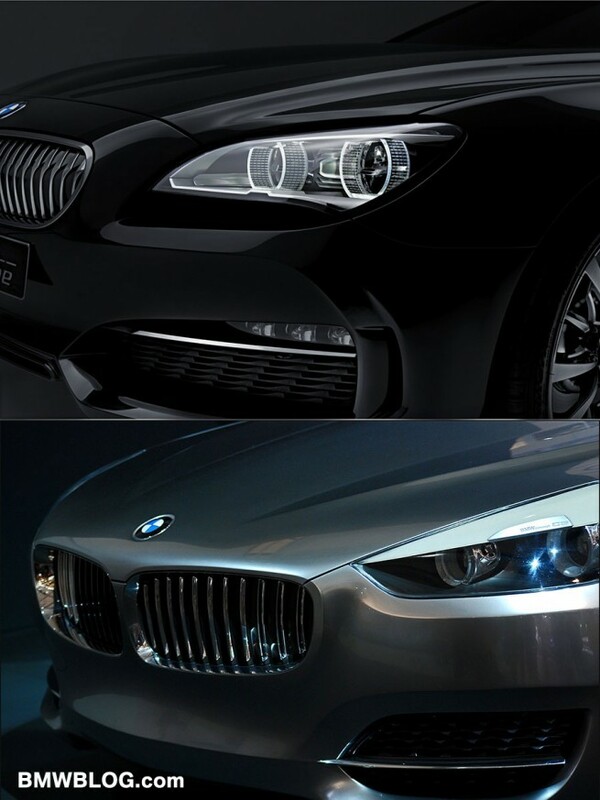 The front-end design is one of the most powerful elements in the CS Concept, the BMW kidney grille stands out as a powerful element typical of the BMW brand and due to the larger than usual size, it is the dominating element of the entire front-end. If the front-end is quite distinct in the two concepts, the rear-end is where similarities began to appear. While the taillights are not identical, the overall shape and wrapping around the trunk are two common elements hard to ignore. 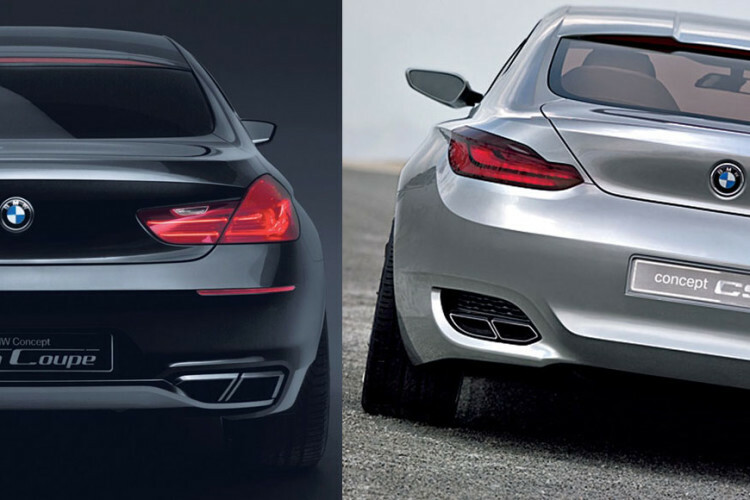 Also, the Gran Coupe’s trunk lid appears to be a derivation from the design seen on the CS. The dual trapezoidal exhaust tips are very similar as well. From the rear quarter view, the common design elements are even more obvious. Both cars sport long overhangs, concave and convex surfaces, a coupe roofline and frameless windows. Back in 2008, CS Concept seemed a far more adventurous car, an extravagant and unique design, and it has been till this date our favorite concept. On the other hand, while the Gran Coupe follows the same steps, the overall design is more mature and very much so ready for production. If our sources are correct, the car already carries an internal codename and a production model is certainly in the pipeline. Hopefully this time around BMW will give us a flagship, not only a car that will retain and satisfy its core enthusiasts, but also one that will certainly bring new customers to the brand.